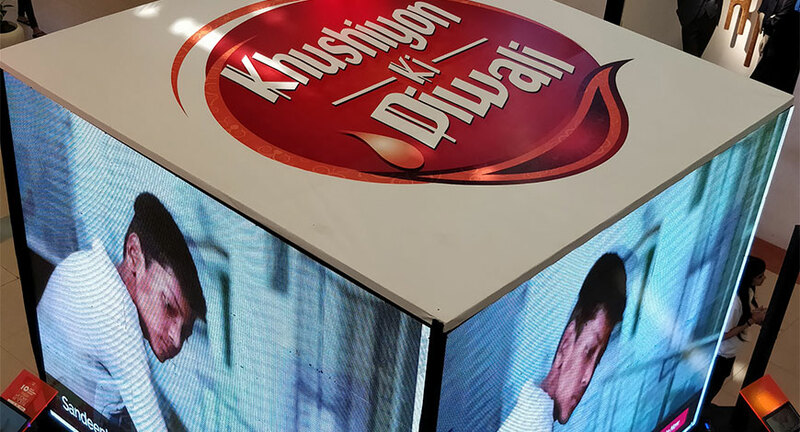 To celebrate the festival season, Delhi's Select Citywalk shopping centre launched its CSR campaign ‘Khushiyon Ki Diwali’ conceptualized and executed by Choose Hope: Fulfilling Dreams, in collaboration with BitGiving, a crowdfunding platform. Through this initiative, the shopping centre connected with kids from humble backgrounds to make this Diwali a memorable one for them by helping them accomplish their wishes and dreams. The nine days campaign commenced on 7th October, 2017 and concluded on 15th October, 2017. The wishes of the children will be fulfilled post 15th October and will be completed before January, 2018. 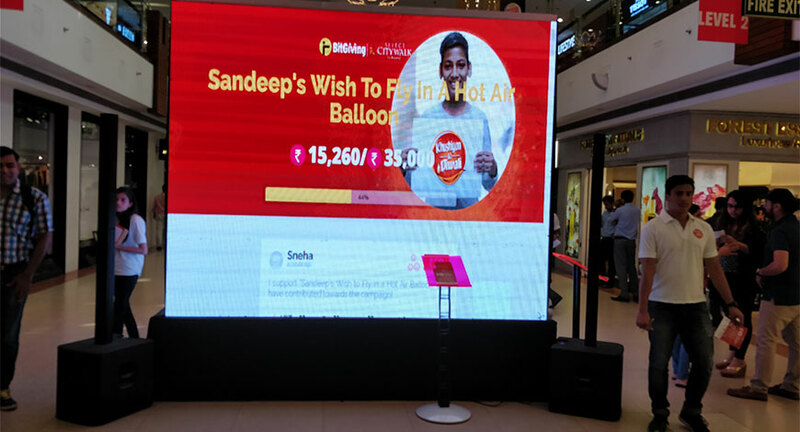 Some of the wishes of the children who have been selected by Select Citywalk along with BitGiving are meeting and attending the concert of Arijit Singh, go for a hot air balloon ride with family and travel to another city in an aeroplane. Commenting on the 'Khushiyon Ki Diwali' campaign, spokesperson from Select Citywalk, said, “We at Select Citywalk always believe in giving back to the society and contributing towards empowering the lives of the lesser privileged ones. Our new ‘Khushiyon Ki Diwali’ campaign is one such platform aimed at spreading happiness and making this festive season special for these kids. We are confident that the initiative will be well received by our patrons and we look forward to come back with many such initiatives in future”. Chiming in, Jaideep Singh, Co-founder, Choose Hope- Fulfilling Dreams expressed, "We wanted to make this year’s Diwali truly memorable for some children. Luckily, Citywalk offered us a chance to execute a CSR activity for them. This year Citywalk is celebrating it’s 10th anniversary. So, we suggested a “10-days, 10-children, 10-wishes”, campaign. We interacted with the kids at the NGO “Sunshine Project” and learnt about their hobbies and interests. From their wish-lists, we selected 10 wishes that we could fulfil. For example, one of the kids had a dream wish to meet Arijit Singh and attend his concert. Another kid, wished that he could take a flight with his family to another city in India. We are blessed with a good life with our friends and families. For us, Diwali is a festival of happiness, lights and celebrations. This year we thought of fulfilling the wishes of some underprivileged children and give them a chance to celebrate happiness. That’s when we rolled out “Khushiyon Ki Diwali”. To run the campaign, the shopping centre showcased stories of ten selected children through an AV in the Mac Atrium area of the mall from 10 am to 1 pm every day. Supporting the cause, Select Citywalk invited customers to contribute towards the funds required to fulfill the wishes of these children. Every time a person donated, their name popped up on the screen in the form of a Diya.